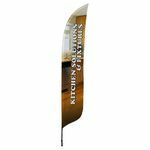 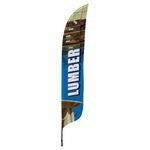 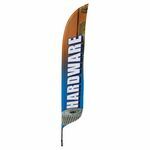 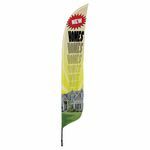 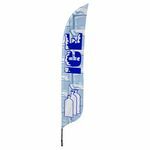 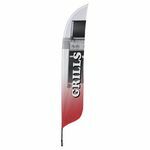 Draw attention to your business with our outdoor advertising blade flags! From patriotic phrases like "God Bless America" to product highlights such as "Hardware", these blade flags are sure to catch a prospective customer's eye. 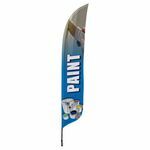 Measuring 11 ft. x 2 ft. and printed with vibrant colors on 200 Denier Nylon Fabric these banners are perfect for any storefront or small business. 100% Made in the U.S.A.